Check in with the stars, Capricorn, it's your horoscope for the month ahead! 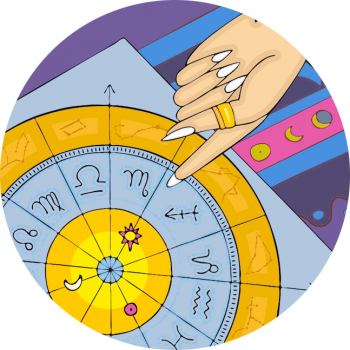 January may have seen sweeping change, Capricorn, and in February you can give yet another push in the right direction. Your outlook, sense of connection, the way you express yourself and think are vital components to your experiences now; what you say and how you relate to those in your inner circle is paramount. With Pluto (in your own sign) in great tension with Mars (at home), it’s possible you’re not entirely cool about what’s unfolding in your space, family or emotional life, and it could be brushing and bristling you up the wrong way. By months end you may need to set aside your own wants and desires to allow progress to run a little smoother. The new moon (at 9.04 pm GMT) on the 4th resets the agenda in your zone of money and income, purpose and productivity, and it could be a wonderful opportunity to brainstorm a new role or address your income. Venus moves into your sign on the same day, infusing you with extra confidence, clarity, and the ability to show your best side. Between the 9th and 11th the moon joins Mars and Uranus in Aries in your zone of nesting, and connector Mercury adds to the conversation. It’s likely you’ll see some moving ahead on these days, followed by action and change on the 14th, when Mars meets Uranus at 29º Aries in your domestic realms – the final degree and a powerful point. It might be necessary to sit through some heady excitement on Valentine’s, yet you can look forwards to the 18th, when Venus enhances your outlook, as she meets your governing planet Saturn. This is a day to really look forward to, and you can amplify your own progress noting and emphasising responsibilities taken, an improved work ethos, or anything else you’ve made headway on, particularly in 2018. On the full moon February 19th (3.54 pm GMT) something you’ve learned could be pertinent, as the moon blooms in the area of your horoscope governing special quests and the pursuit of knowledge and experiences. Use this day (and the 20th) to hone in on your personal passions, Capricorn. It’s a great time to think things through. Pisces season begins now, and the end of the month steers you towards your rapport with others, how you learn, develop skills and relate. Get curious, and try to humble your own wants in favour of engaging with close friends and collaborators, picking up new hobbies and interests along the way. It’s an ideal time to date and meet new people, however you could be a little idealistic (especially around the 19th) so don’t totally loose yourself to romance, or unrealistic expectations!